TCEC gradually gets better and better over time, with stronger engines and a constantly-improving opening selection. 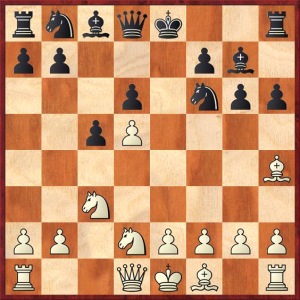 It can attract amateurs and professionals alike because of the extremely high quality of play, theoretical battles, and a viewer’s natural curiosity to see how the strongest engines handle different position types and pawn structures. It is a nice thing to see that the authors of the top two programs are competitive with each other in a friendly and positive way. To the untrained eye (and to the trained eye as well), it is quite hard to tell what’s going on and what’s the difference between the top two engines. Komodo and Stockfish operate very differently and it makes sense to look at things from a broad, objective perspective. As a serious tournament player, I use both Stockfish and Komodo 7 regularly and view them as complementing each other very nicely from an analytical point of view. Stockfish uses depth-based LMR (which you can read about on chessprogramming wikispaces if you’re interested), which means that the greater the depth, the more selective they become. This is one explanation for why Stockfish reaches greater depths, and why each additional ply (a single move for one side) is much less than an additional ply for Komodo. Roughly speaking, beyond around 20 ply, each Komodo ply is almost like 2 Stockfish plies. The interesting question here is, “What is the value of a ply?” From a broad perspective, the empirical evidence (from personal testing as well as CCRL lists) I have seen suggests that Komodo gains roughly 50 elo points per ply from depth 20 to depth 21, with some diminishing returns, such that by depth 28, the gain is possibly closer to 25 elo points per ply. From that perspective, as fans we can expect an even higher quality of play in the future, as hardware improves and pruning becomes more sophisticated. As this happens, it may not necessarily mean that greater depths will be achieved; it may also mean that less will be missed by the same engines playing moves at the same depths. That being said, Stockfish’s extremely deep search definitely played an important part in the SuperFinal’s result. At the end of the previous SuperFinal (which ended in November 2013), a common consensus was that wide search based on deep positional understanding was slightly superior to primarily deep tactical search. Of course, this is a much too simplified way to look at the subject. There are many factors here, such as sample size, time, depth, and opening selection which also play a role. It is useful for the computer chess community as a whole to consider as many variables as possible before making judgments. Nevertheless, in the most recent SuperFinal Stockfish’s play was fantastic and currently, I consider it the strongest engine, although I can’t precisely estimate by how many elo points. The number is likely to be between 10 and 30, but I don’t like to speculate. Stockfish’s developments in the last year have been incredible, in part due to the impressive work done on fishtest. In the very first game of the SuperFinal, in this extremely critical position, Komodo played 11. …Nd7, suggesting a score of +.37 at depth 25. 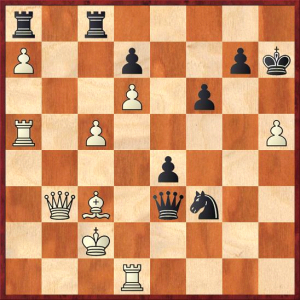 I see around 40 correspondence games in this position, but none with 11. …Nd7, which I can only conclude is a bad move. Why did Komodo play it? There are a few likely explanations: 1. Firstly, Komodo only spent 2 minutes and 15 seconds here, which is a very brief think. I can only guess that Komodo’s obvious move algorithm suggested this was clearly the best. If so, there’s a lot of room for improvement. 2. The other reason Komodo seemed to play it was because it misevaluated the strongest move 11. …Qxe5. 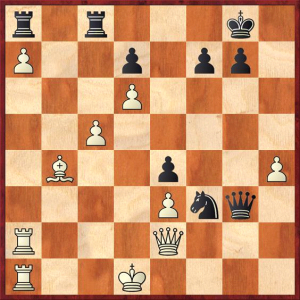 What now happened in the game was easy to understand: Black didn’t take the central pawn and was left with a cramped position and no real plan for the next 15 moves. By 26. 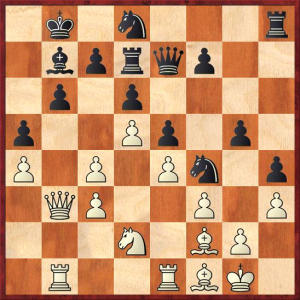 Qe7, the position already looked lost (or very nearly) for Black. Judging from game 2, where Stockfish played 11. …Qxe5 and drew pretty easily, it seems to me that Komodo had some trouble evaluating the bishop pair in this variation. 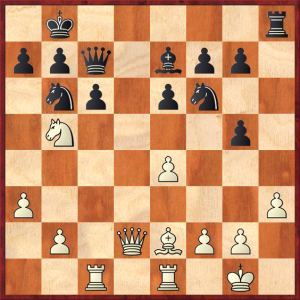 More importantly, when the White pawn advances (h4-h5), Komodo gives too high of a score for White, since the h-pawn can’t actually go anywhere or do anything. 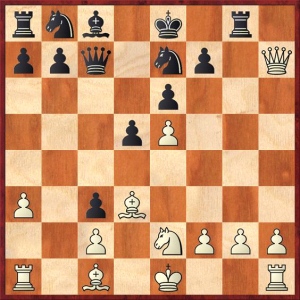 By taking the central pawn and aiming for an exchange of queens, Black could have successfully defended. For those interested in verifying that, take a look at Game 2. What happened in Game 1 was rather lifeless and unpleasant for Black. After the last diagram, White played some preparatory moves, rounded up the c3 pawn, and won the game. The next error I’d like to point out was in game 8 and shocked me. My bulldog is getting very hungry just looking at this position. There’s no need to see any more of this game. 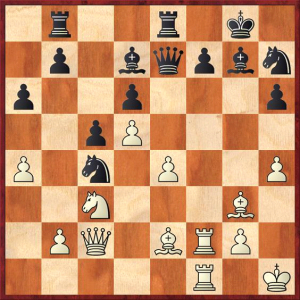 After relatively obvious moves from the previous diagram, in which Stockfish doubled rooks and created kingside pressure, now it played the crushing intermediate move Rxf7! and won easily. 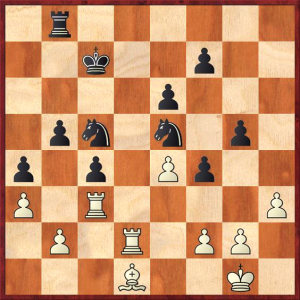 After Black’s last excellent move (…Nf6-d7! ), White can essentially resign. 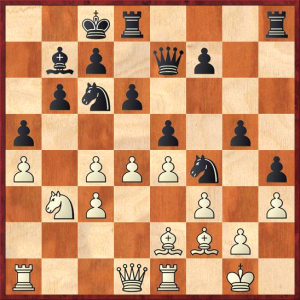 Black was able to somehow stay alive for some time by uncorking the shocking move …e5!! here, but eventually White converted its large advantage. 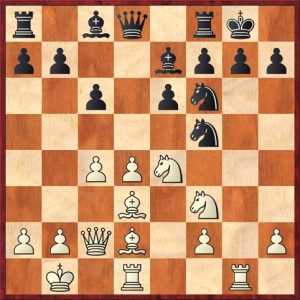 In this bizarre position where Black’s king may optically look somewhat safe, Stockfish played h6! 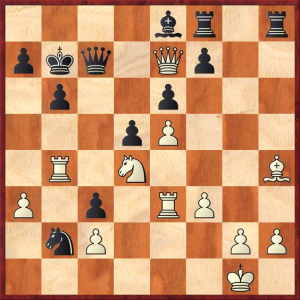 !, completely wrecking Black’s king position and winning the game easily after …Kxh6 Qf7!, intending Rh1+. Komodo’s score here is very hard to understand. I would have imagined that White is close to winning here, without even consulting a computer. 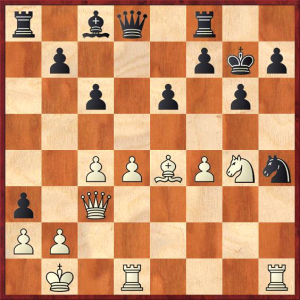 He has the bishop pair, a completely closed kingside which Black can never realistically attack, and an eventual break on the queenside by c5 or sacrificing on b6 (as in the game). It seems that Komodo misevaluated the bishop pair and the relative safety of both of the kings here. Just watch how in 5 ply the SF score jumps to +2.15. 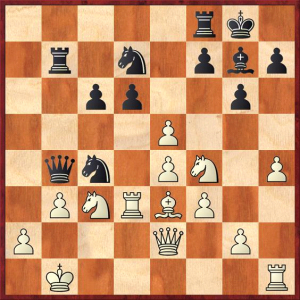 In this position, Stockfish played the thirst-quenching Bxb6!! and eventually disrobed the Black king for a quick victory. I would like to have made some relevant comments about Stockfish’s time management problems or king safety misevaluations, but unfortunately I wasn’t able to spot very many, indicating that the Stockfish developers have done a marvellous job with the engine. 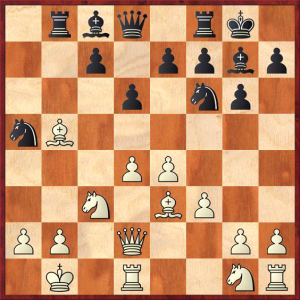 In a basic sense, many people seem to forget that you only lose a chess game by making mistakes (assuming you aren’t playing a position that’s losing by force). A famous quote comes to mind: “the presence of intelligence is the absence of stupidity.” In the same light, the presence of chess strength is principally the absence of bad moves. It is a bit misleading to suggest that Komodo played terribly in the SuperFinal. The important difference from the past was that Stockfish made many errors in previous events, and misevaluated many positions (for example, positions with a space advantage and a pawn on d6 in the Grunfeld were often given huge scores by Stockfish that were much lower on other engines). Now many of those misevaluations and poor scores are simply not a problem with Stockfish. If SF continues to make the least mistakes, there’s little doubt that it will remain champion for the foreseeable future. I can only hope there’s a close clash at the top.